I don’t tend to have a favourite time of year but as it starts to get colder and the jumpers come on, it’s time for Halloween! 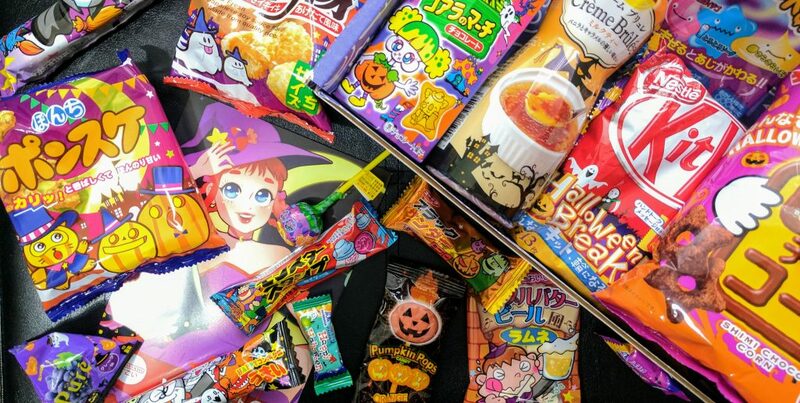 I absolutely love the Halloween aesthetic and I tend to wear a lot of black all year round… Part of me wishes I was more stylish and can rock a dedicated Halloween outfit (that isn’t a pumpkin) but until then I’ll just review these Japan Crate Halloween goodies! 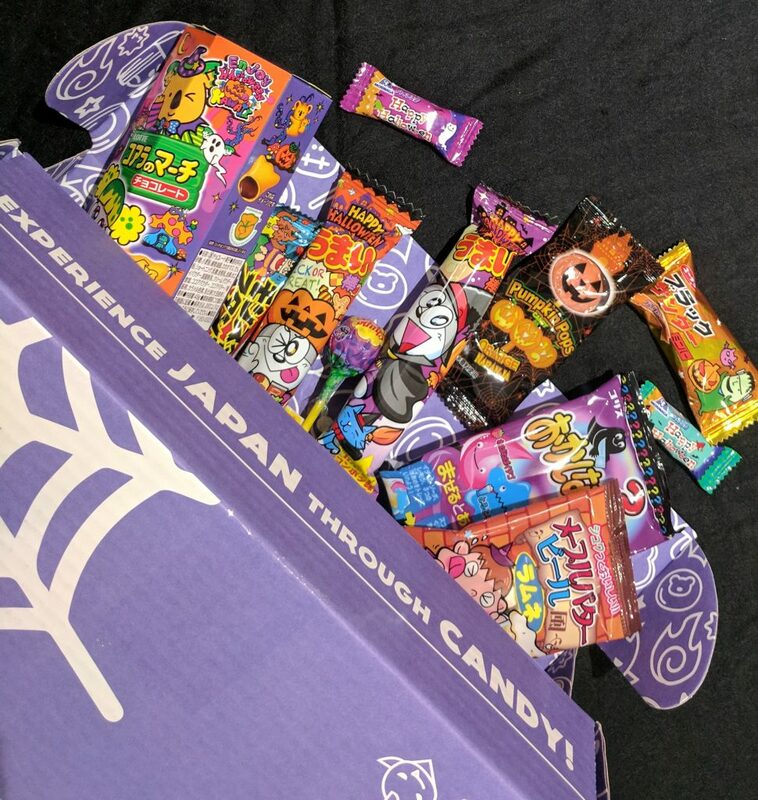 I don’t tend to do the same type of thing twice on my blog (at least so far) and I’ve reviewed a Japan Crate before. But I just HAD to share how frigging cool this latest Japan Crate was. This month is was the Halloween special and all the items in the box were themed to suit- every single one. Just a note I am not affiliated with Japan Crate in any way so all of these opinions are my own and unsponsored! The tastiest item was definitely the Umiabou Corn Potage (you can see 3 of them below). ; they’re little corn puff tubes and OH. MY. They were amazing! I have friends in Japan who I am very tempted to ask for a favour from and get them to send me some of these amazing little snacks. Preferably a life-time supply. The most familiar items were the crispy chocolate Koala March (which we have panda versions of here in the UK in supermarkets) and of course, the full packet of 13 Kitkats! I know Japan has a huge amount of flavours available and these were a lovely kind of caramel flavour – similar to a Gold Bar. There were tons of sweet and savoury snacks in this one, a new witchy Creme Brulee drink and a jelly to make! Really cool to pick out something new to snack on each day rather than the same old things you can find in stores here. 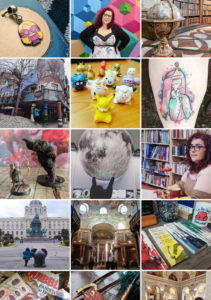 …it’s always a great surprise, there’s tons of variety in the box and they seem to genuinely think about their customer base and what they would want to try. There were crisps, puffed corn snacks, lollipops, sweets, a drink… and all of it was wonderfully purple, orange and green. Just perfect for Halloween! Pingback: It's the Most Wonderful Time of The Year: Halloween Season is Here!